Earlier today we helped IAH kick off Mother’s Day weekend for travelers at the airport! 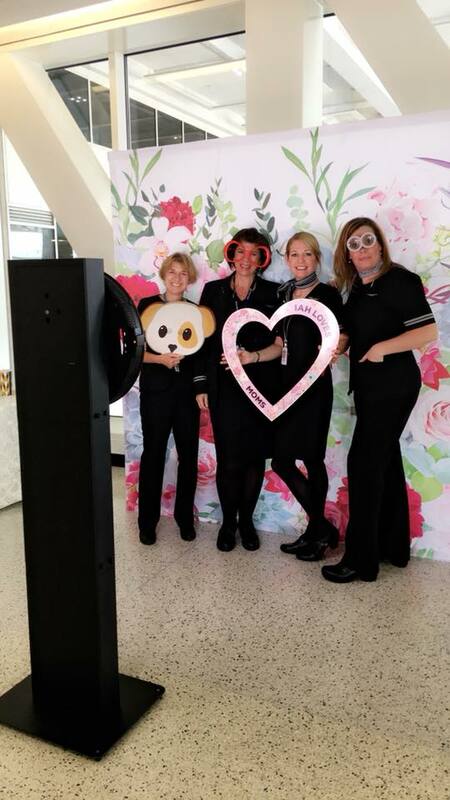 We provided three Houston photo booth activations (two Lucky Selfie Mirrors and our new Lucky Touch Social Booth) in Terminals B, C and E for travelers to enjoy before catching their flight back home to see Mom! ❤ This was the definitely the most fun we’ve had at the airport! Looking for a Houston Corporate Photo Booth for your next big event? Give us a call today at 281.849.3556 or email us at getluckyshots@gmail.com We also have Houston Mirror Me rentals and more!